A key factor to delivering quality healthcare is the convergence and flow of related health data. From being accurate, timely, and HIPPA compliant, we have been at the forefront of developing customized solutions for our US and UK clients. 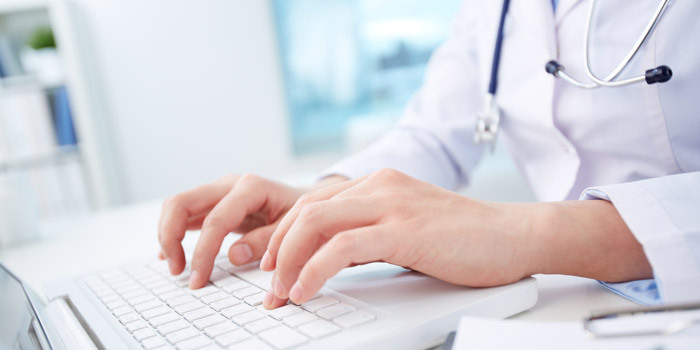 Seaview Transcription Services is aimed at bringing down client costs, deliver higher physician satisfaction and ultimately be part of enhanced patient care. We have been delivering high quality services to our clients consistently for the past 18 years. With advanced technology support, multi-platform sharing, customized workflow and delivery management systems, we provide solutions that are easy to manage and scale up on demand. We have a highly experienced resource pool, stringent process delivery systems, and industry-best quality assessment measures. Seaview’s Transcription Department also specializes in providing data conversion services for researchers. Over the years, our team has acquired intrinsic process knowledge required to deliver error free reports. Our team has the capability to interpret and represent the researcher’s methodological assumptions through the various data approaches used in line for qualitative data analysis. Advanced technology enables us to process data faster accurately and the benefits, including costs, are passed on to the customer. Healthcare today is defined by advancements across specialties on a consistent basis and we understand the need for our resources to be up-to-date. Our dedicated training department consistently researches and analyzes the latest changes and holds knowledge transfer sessions for the team. We also hold specialized continuous education programs as per client requirements and customizations. We understand your concerns on data and content security and over the years have developed and maintained some of the most stringent security parameters across the industry. Security in terms of electronic data transfer is managed by Secure Sockets Layer (SSL), which is among the most sought after protocol for securing message transmission over the internet. This encryption protects voice and written data from being tampered in any manner during transit. We have also implemented a standard set of governing guidelines to define and manage our security parameters to achieve further HIPAA compliance. We offer business solutions which are best suited for your needs. Our support staff and IT team will help create a process arena which will be unique and inimitable for your needs. We offer “anytime service” which is a 24×7 helpdesk which will attend to all your questions and concerns. This desk will also guide you through various delivery and security options available.